Joe joined SEA in 1990 and went through every class from Dinghy One to Offshore Sailing. He published and edited the newsletter and helped organize the Safety at Sea seminars. 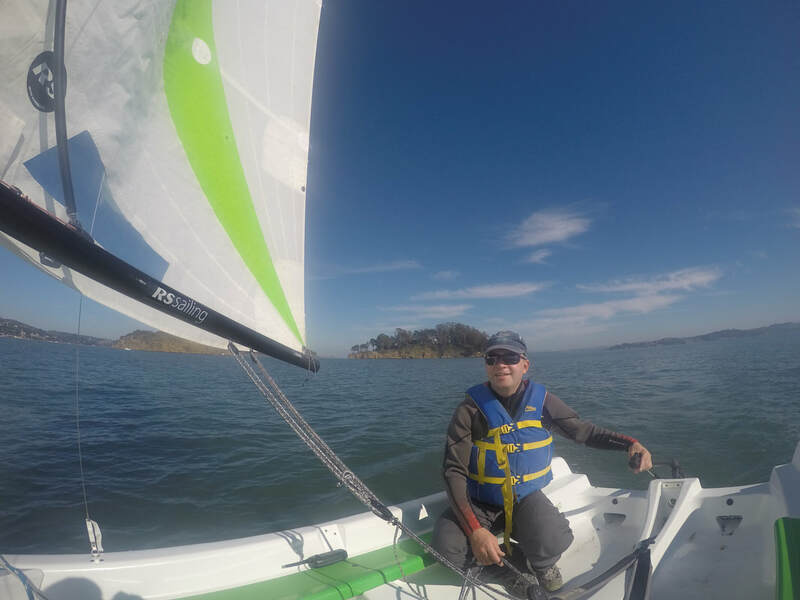 He's been US Sailing Certified Instructor since 1993 and served on the Board in past years. Joe has been on or in the water his whole life, including six years in the US Navy. His earliest memories include his Dad teaching him to snorkel when he was four, his mother scraping the bottom of their Chris Craft in a Sausalito boat yard, and fishing for bullheads in Tiburon with his friends. He has passion to share his love of the water with others. open sails to keep his children boating outside SEA's camp programs. accounting and finance, he was appointed SEA's Treasurer. Jane Piereth is the founder of SEA, and served the nonprofit organization for almost 20 years as Executive Director. She organized the first US Sailing Association's Level 1 Small Boat instructors courses offered in Northern California and also organized the first three Safety at Sea Seminars presented here. She held a Coast Guard six pac license for 25 years. She is a retired Master Chief Boatswain's Mate, US Coast Guard Reserve, driving 41' and 44' Search and Rescue boats for 17 years, and working in the Marine Event Permits office. Her most fun time in the Coast Guard was the three weeks she sailed on the cutter Eagle, the Coast Guard tall ship. She has served as Commodore of the Presidio Yacht Club. Her late husband served as Commodore the Master Mariners Benevolent Association, and they raced their 1939 Dunningan 30 sloop in the Regatta for many years. After being away from the Bay Area for 10 years, Jane returned in 2012 to once again be involved with SEA. Meghan has grown up on the San Francisco bay and been involved with sailing and the Bay in one way or another all her life. As a child she came through the SEA Sail Camp program and moved into a leadership role progressively to Head Counselor with SEA while in high school and college. Meghan holds a B.S. degree from Dominican University in Biology with Minor in Environmental Science. After a few years being away from the Bay Area she has rejoined SEA in the Spring of 2014 as Youth Program Director to oversee and run the successful SEA Summer Camp programs. She is very involved with the efforts of ocean advocates around the Bay and is a leader in promoting marine health understanding and education. Look for her in the Racing with Copepods film, Coastal Clean up efforts and many other projects that help to increase awareness and stewardship of the marine environment. Also, look for her dockside in the summer making sure camps run smoothly. SEA Board of Directors’ meetings are open to the public, except for certain subjects that are addressed in closed executive session in accordance with the Brown Act. If any member of the public wishes to attend and requires special accommodations due to conditions outlined in the Americans with Disabilities Act, please contact the Office at least 2 working days prior to the meeting.